File System Forensics forms the root of any digital investigation process. Developing your skills in this area is sure to boost your confidence and propel you to navigate any investigation with ease. This course will make the esoteric nature of this topic coherent to a novice. Why file system forensics and why ext4? Why should you be interested in this right now? Linux operating System is a ubiquitous one today. From servers, to desktops, to laptops, to tablets, to smartphones – Linux is everywhere. Underlying all that intelligent engineering is a file system that facilitates the handling of files on those devices. A file system is the container in any data storage device that handles file arrangement meaningfully. It is analogous to a well stacked, alphabetically sorted bookshelf. File System Forensics is the study about the existential behaviour of files on a storage device – which may undergo addition, modification or removal. One can think of it as a psychological study of the data storage container. This course primarily deals with forensics on the Fourth Extended File System (ext4), that is commonly used in Linux machines all over the globe. Ext4 file system is also found in a lot of IoT devices and in smart home devices. In the untoward occurrence of a forensic incident involving any such devices, the skills you get from this course would help you process them looking for evidence. File System Forensics is a sought-after skill in many investigative agencies. Here is your chance to become a “Forensics Yoda”! 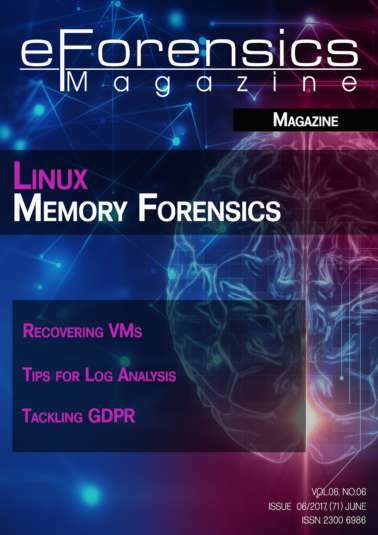 I can hear you thinking already – should I invest my valuable time to learn file system forensics? Let me break it down for you. At present, in the realm of state-of-the-art technology, fancy entities like Internet of Things, smart homes, self-driving cars, etc., are sprouting like weeds. Despite that, for every “this is a new smart device”, there is a “cyber-attack launched on smart device by anonymous hackers!” As much as a business mollycoddles their customers, there is a perpetual demand for adroit professionals who can ferret out the unfavourable work transacted by hackers. A cyber criminal always thinks he is one step ahead. They are usually skilled people who have spent a long time studying the technology on the attack surface. What if a forensic investigator is two steps ahead? Such a forensic investigator has a myriad of skills and I am offering you a chance to earn one. A new feather to your forensics cap! Only with a deep insight of the conventional behaviour can forensics be done to identify abnormal behaviour. This module progresses into the internals of the Fourth Extended File System, thereby setting the tone to begin forensic procedures. Exercise 1: Given a file system image, you will locate the different data structures. We are habituated to looking at files and directories on our storage devices through a file manager on the Linux machine. In this module, we will see how to extract a small file, a large file, a directory – from a storage device, in a forensic manner. This will kickstart your journey into the magical world of bits and bytes. We will also cover extraction of deleted files and directories. Exercise 2: Given a file system image, you will identify whether a file exists or if it has been deleted. If it has been deleted, is there a way to extract the file? Description: Every file system has some unique features incorporated into its storage procedures. In this module, we will see the forensic impact of some features specific to ext4. We will observe these features as they would normally exist and in scenarios when the files/directories using these features undergo deletion. Exercises 3: Given the file system image, you will interpret information from the features seen in this module. Journaling is an important feature that was added to ext4 to aid in file recovery. We will see its impact on forensics. This module also teaches about how to use the information seen in this course in a forensic investigation. Exercise 4: This exercise will focus on interpreting the journal on the given file system image. FINAL EXAM: The final exam will be a multiple-choice test, to complement the modules’ practical exercises. However, the exam would be child’s play only if the candidate practices the exercises judiciously.